We have much to be excited about as we head into the New Year, including meeting many of our past resolutions. Our winter season welcomed record numbers of enthusiastic patrons at our concerts and we saw a successful completion of our first-ever capital campaign, even surpassing our goal! You will be delighted to know that our Whitechapel Handbells are packed away safely in their new cases and on their way to the foundry in England! As we move into spring 2016, we have a variety of new goals and resolutions including the expansion of our Executive Board, performing at National Seminar for the first time, and the 10th Anniversary of the Boston Handbell Festival. On top of all of that, we continue our education mission by hosting a workshop with renowned composer and director, Michael Joy. I invite you to check all of the below links included in this newsletter for information about these upcoming events. We really have so much to be excited for in 2016! The Tenth Anniversary of the Boston Handbell Festival will be presented on May 17, 2016 at 8:00 pm. 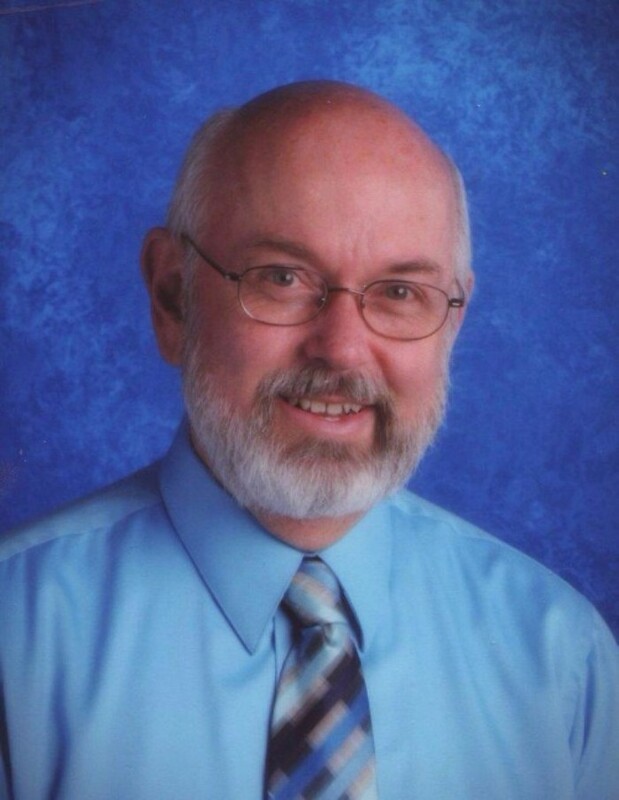 BBR and guest choir, Philadelphia Handbell Ensemble, will be premiering a new piece for two handbell choirs by Michael Joy, our guest conductor. it will be an evening of surprises as we recognize 10 years of community handbell ringing in Boston! See more info here. Come to our Workshop with Michael Joy! On Saturday, May 14th, we will bring Michael Joy to lead a handbell workshop in Wellesley, MA. All our welcome; go to our website to learn more! Registration information will be available soon. The ensemble has been invited to perform a solo concert at Handbell Musicians of America National Seminar in Rochester, NY. Our concert is open to the public, and will be held on Thursday, July 14th at 5:30 pm. It’s a great honor to be invited, and we are working diligently on an “Art of Handbell Ringing” program that will live up to the expectations of the conference! Learn more at this link. Their expertise will be invaluable as we continue our mission to promote education in the artistry of handbell ringing! We are always looking to expand this circle, so please email Donna if you will like to be involved. 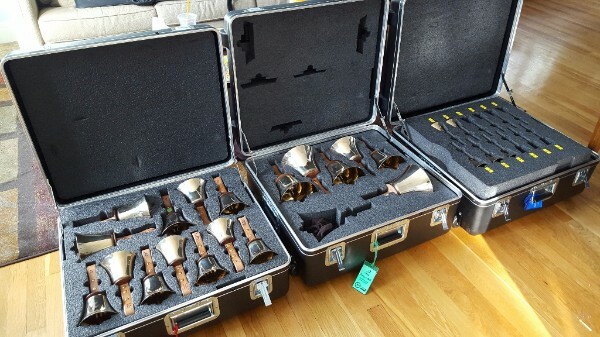 Pictured here are our three octaves of Whitechapel handbells snug in their brand new cases for their journey to England. We expect to have them back in time for our June 2016 concerts. Many thanks to all of the contributors to our successful capital campaign. We couldn’t have done it without you!